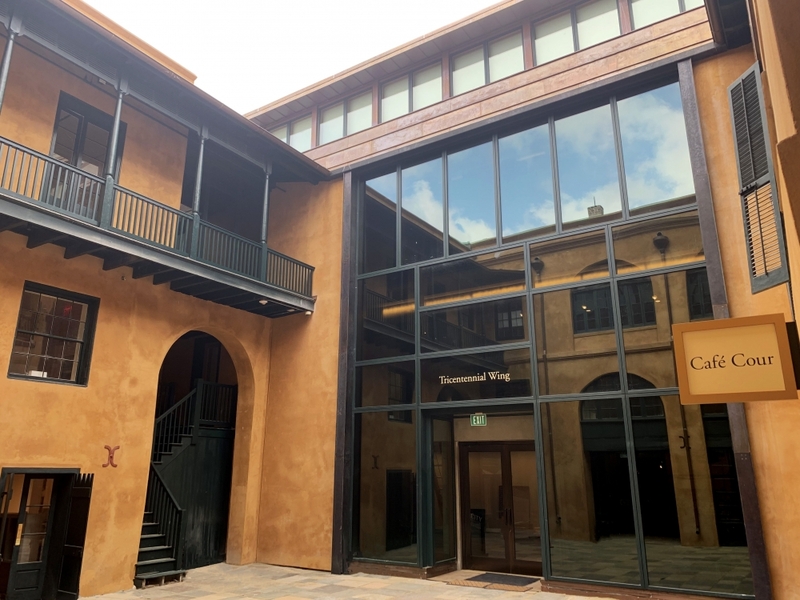 On Saturday, April 6, The Historic New Orleans Collection will throw open the doors to a $38 million expansion of its museum facilities, offering a significant addition to the French Quarter’s cultural attractions. 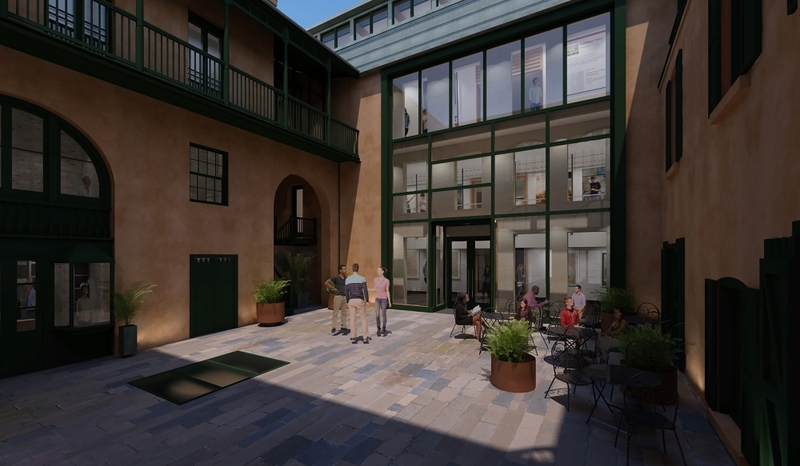 Located at 520 Royal Street, and made possible in part through generous donations from the institution’s local, national, and international supporters, the new campus will add more than 35,000 square feet to THNOC’s footprint and double its publicly available spaces. A free public block party scheduled for Sunday, April 7, has been postponed to Saturday, May 18. The Seignouret-Brulatour Courtyard meets the new, purpose-built Tricentennial Wing at THNOC's new exhibition center. 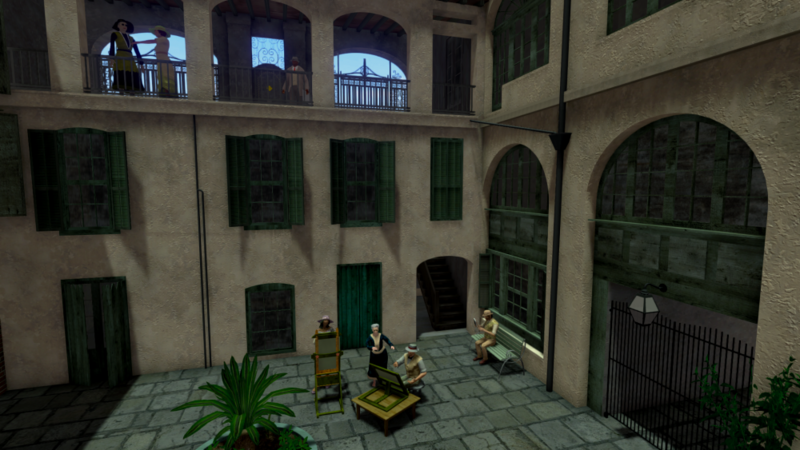 The unique melding of old and new spaces is unlike anything else in the French Quarter. The site will house a continuing exhibition on the history of the French Quarter (the only such installation of its kind in the historic district), changing exhibitions, dynamic interactive displays by new media artist Xiao Xiao and local film company Côte Blanche Productions, a hands-on educational space for all ages, a fully restored Aeolian pipe organ, a larger footprint for THNOC’s museum shop, and Café Cour, a museum café run by Dana and Christina Honn of Carmo. Following THNOC’s other locations, admission to the new center will be free. 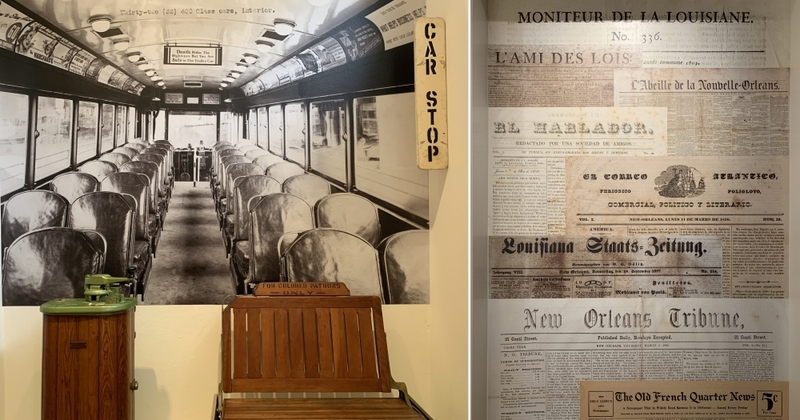 A continuing exhibition on the history of the French Quarter will offer a thematic exploration of the city's oldest neighborhood. The first major changing exhibition at the site will also be THNOC’s first large-scale exhibition of contemporary art. 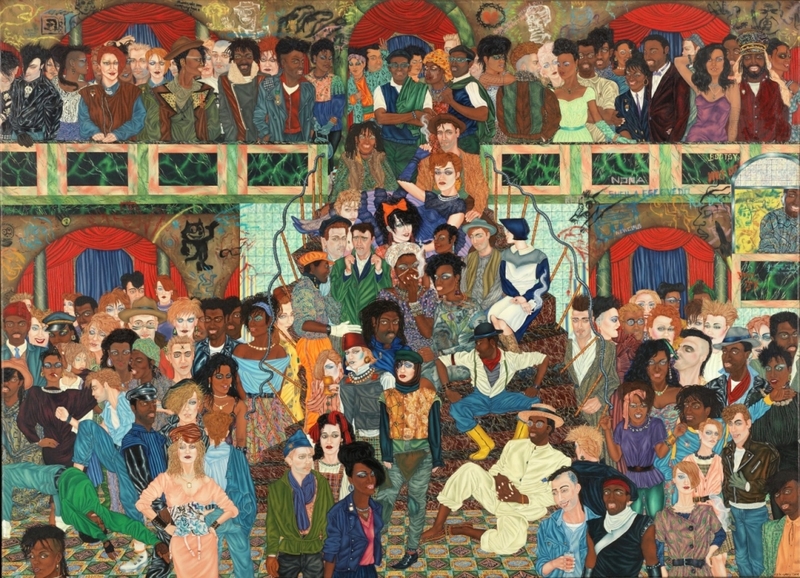 Art of the City: Postmodern to Post-Katrina, presented by The Helis Foundation, will feature more than 75 painters, sculptors, and more whose works reveal the influence New Orleans has on artists. 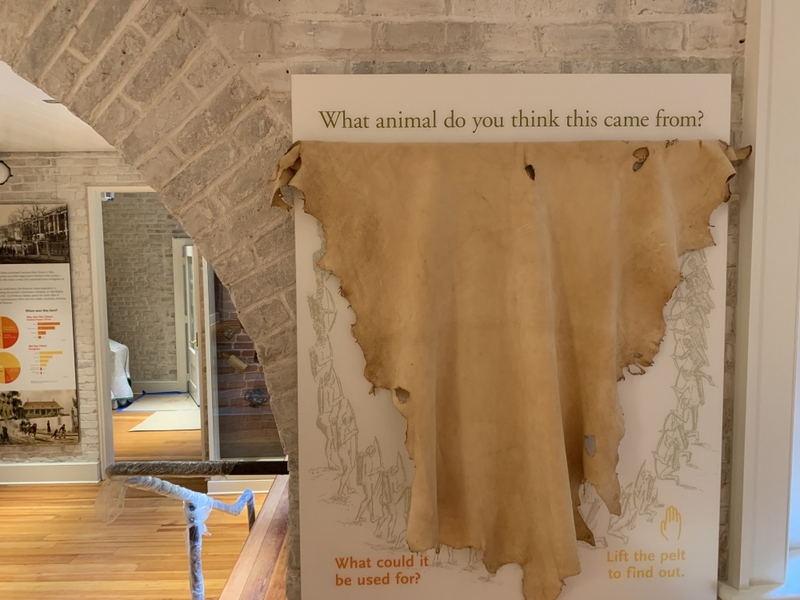 The Historic New Orleans Collection’s new exhibition center will open to the public Saturday, April 6, 2019. Grand opening festivities will continue Sunday, April 7, with a block party in the 500 block of Royal Street from 1 to 5 p.m. The afternoon event will feature free performances from Bon Bon Vivant, the Confetti Park Players, Detroit Brooks and more, and food and drink will be available for purchase throughout the block. 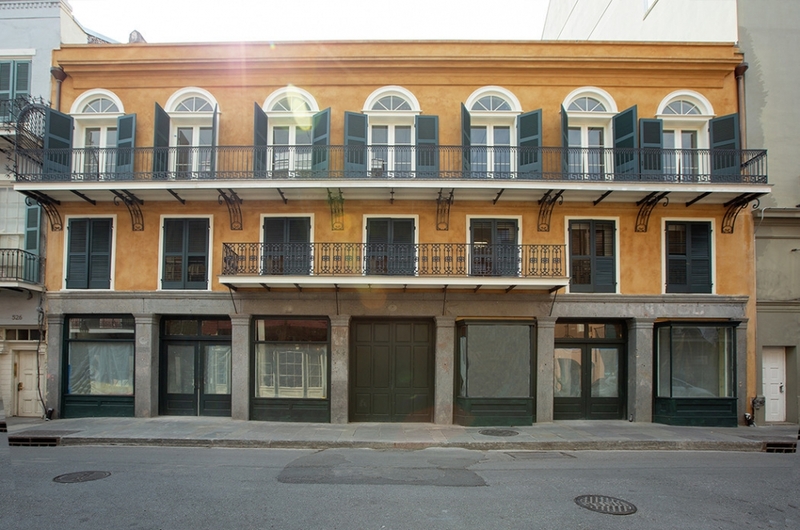 Both of THNOC’s Royal Street facilities will be open from 10:30 a.m. to 5 p.m. that day, and admission to each site is free. The Education Galleries at the new exhibition center will offer THNOC's first spaces dedicated to family exploration. The block party is presented by THNOC with major support from Chase and J.P. Morgan. Additional support has been provided by Waggonner and Ball Architecture/Environment and Gambel Communications. The new exhibition center’s regular hours will be 9:30 a.m.–4:30 p.m., Tuesday–Saturday, and 10:30 a.m.–4:30 p.m. on Sunday. More information is available online at www.hnoc.org.